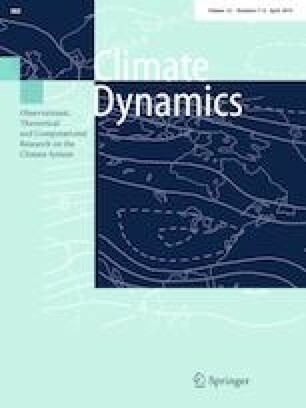 A recent study shows that the current wind turbine parameterization in the weather research and forecasting (WRF) model can generally reproduce the satellite observed nighttime warming signal over wind farm (WF) regions over west central Texas, but also tends to produce a cooling effect in the WF downwind regions. The present study conducts a series of WRF simulations to further this research by addressing two fundamental questions: (i) what is the 3-D structure of simulated near-surface temperatures within and around WFs? (ii) what are the main physical mechanisms responsible for the simulated WF-induced temperature changes? Our results indicate that the WF-induced temperature changes are not only restricted to the surface but also can extend vertically to the hub-height level and horizontally in the downwind direction. The WF-induced change in sensible heat flux is the dominant factor for the simulated temperature changes at the surface, for both the warming signals over the WF region and the cooling signals behind it. Further diagnosis shows that the turbulent component of the wind turbine parameterization is responsible for the surface warming signal by enhancing vertical mixing while the momentum sink component is responsible for the surface cooling signal by enhancing near-surface thermal stratification. By analyzing the energy budget, we find two important physical processes that are critical to explain the simulated WF impacts on temperature: (i) vertical divergence of heat flux as parameterized in the planetary boundary layer scheme and (ii) resolved-scale 3-D temperature advection. The online version of this article ( https://doi.org/10.1007/s00382-019-04725-0) contains supplementary material, which is available to authorized users. This work was supported by the National Science Foundation (NSF-AGS-1247137) Grant. We also would like to thank two anonymous reviewers for their helpful comments.